Are you a curious, collaborative, self-led, resourceful, drive-not-ride type? Join us. When it comes to success, we know we’re only as strong as our team, so we empower our Rain Makers to forge the way—finding opportunity at the intersection of what they love, what we need, and where they thrive. 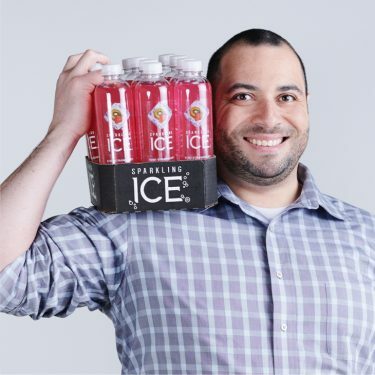 We’re Talking Rain, the maker of Sparkling Ice, and we’re so much more than water. We build flavorful brands that deliver sustainable growth and create a connected community that people embrace, trust and enjoy! Click to learn about us and our careers. You can also follow us on LinkedIn, Instagram, Twitter and Facebook. Drive, not ride. With a mindset of service, our Sales team goes out and executes in the market. Flawlessly. All enabled by our Business Transformation team that translates our data into actionable information and strategy. You’ll be partnering with our Vice President of Sales, Strategic Channels to dig into the data, providing insights that maximize our impact and reach. Collect and analyze our eCommerce and Club channel performance from various market data sources (e.g. IRI, Retail Link, MADRID, Vendor Central), including regular reporting and preparation of customer presentations. Assist in development and support of eCommerce and Club customer operational strategies (e.g. trade spend, inventory leveling) and drive implementation in support of overall business strategy and objectives. Optimize online content, including merchandising relevant websites, setting up SKUs, and managing product and brand pages. Manage the reporting, tools and performance of paid search (PPC), comparison shopping engines (CSEs), affiliate programs and retargeting channels. Support the budgeting, forecasting and demand planning processes. Ensure food safety, quality, and SQF practices are followed at all times, notifying immediate manager of any food safety and/or quality issues. Complete other responsibilities as assigned. You’ve got initiative in spades and can easily manage through ambiguous situations, collecting all the facts and forging ahead without the benefit of written procedures. You frequently leverage your EQ, or emotional intelligence, adapting your style to the audience—because sometimes you need to sit back and sometimes you need to push back. Your results driven mindset enables you to interpret complex data, developing and communicating value-add solutions. You keep your eyes on the prize, driving with purpose and balancing multiple priorities with grace under pressure. You’re flexible, which means you can pivot on a dime when the situation changes. You excel at collaborating, and can work independently or as part of a team with individuals and groups of every background. Bachelor’s degree preferred; equivalent experience accepted. Minimum of two (2) years of experience in consumer packaged goods (CPG) with experience in analyzing the data to create value add solutions and strategy. Proven Excel skills, and proficiency with the rest of the Microsoft Office suite. It's up to myself and other Sales team members to actually make the magic happen.